Reasoning Related Most Question With Answer Set 17 Current Affairs, Aptitude And Join the best Online Test Series & get all India Rank, Logical Reasoning. 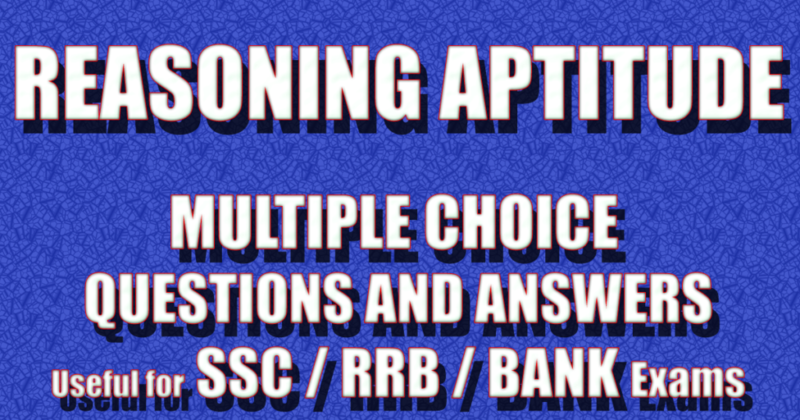 Logical Problems · Number Series · Verbal Reasoning and important Question & Answer with solution & Formulas in Hindi & English And Important Questions with Answers to Numerical Ability asked in Gramin Bank Office Assistant Exam And These all questions will very helpful to you for the forthcoming Bank exams, SSC CPO SI Delhi Police and Rajasthan Police and All Competitive Examination. Que(6) व्यवस्था के बाद निम्नलिखित में से कौन सा पहला वाक्य होना चाहिए? Que(7) व्यवस्था के बाद निम्नलिखित में से कौन सा दूसरा वाक्य होना चाहिए? Que(8) व्यवस्था के बाद निम्नलिखित में से कौन सा तीसरा वाक्य होना चाहिए? Que(9) व्यवस्था के बाद निम्नलिखित में से कौन सा पांचवां वाक्य होना चाहिए? Que(10) व्यवस्था के बाद निम्नलिखित में से कौन सा छठा(अंतिम) वाक्य होना चाहिए?